Flexible filament - my testing and guide on how to print FilaFlex, NinjaFlex, and Flex-Polyester. 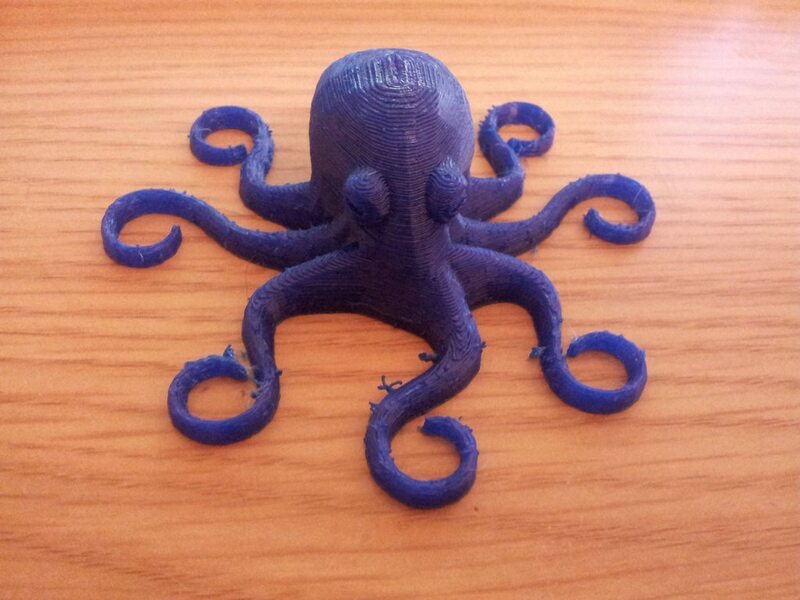 So I've been printing flexible/elastic/rubbery filaments for the last few days. I've tested NinjaFlex, FilaFlex, and Flexible Polyester 40D Shore from Plastic2Print. I've been trying to compare them and figure out how to print them effectively. 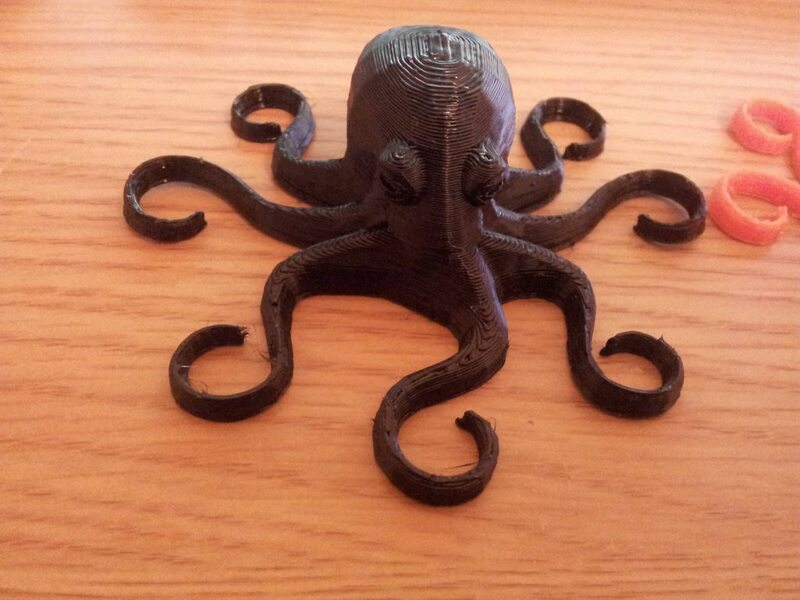 My test object was the thick-legged octopus variant, sliced with slic3r. Slic3r isn't best clever about how it should print the legs, so it performs quite a lot of retractions and travel. Which in most cases would be a bad thing, but in this case it makes for a handy test. 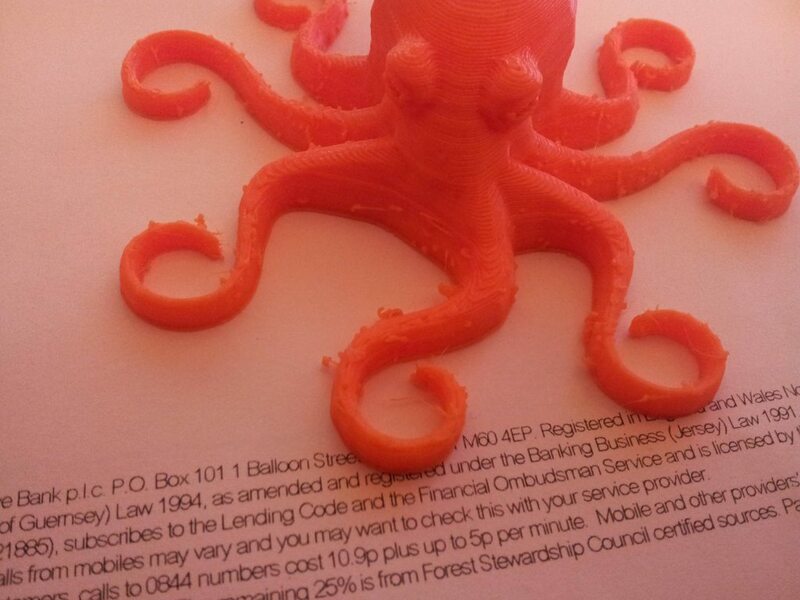 If the print had no travel in it there would be no chance to evaluate and optimise the retraction and other settings. These filaments want to buckle when you compress them to drive them down the hotend. Printing too quickly, or having the slightest glitch in you extruder-hotend filament path will cause buckling. The these filaments act like a spring when compressed and driven down to the hotend. If your hobbed bolt stops turning there is still stored pressure in the system and filament will continue to extrude/ooze. You can stop buckling by fully constraining the filament in the X/Y direction. For this purpose I performed a very simple/easy hardware mod. I drilled out the hole where the filament exits my wades extruder from the bottom to a diameter of 4mm. This allows me to put in a piece of 4mm OD/2mm ID PTFE tubing that runs RIGHT up to the hobbed bolt, and runs down to the hotend. The tip of the tube where it meets the hob is carved to a 2D point such that it sits right against the hobbed bolt and idler. This gives the filament no option to buckle up. You can't eliminate ooze entirely with these filaments is the conclusion I came to, but there are strategies you can take that make a huge improvement to how they print. The first is to print at a completely constant velocity, for perimeters, infill, everything. Make it quite slow - around 30mm/s all round - don't use a slower first layer. The reason for this is that we want to print this stuff in as much of a steady state system as possible. Changes in velocity and extrude rate affect the output flow rate of the extrudate in a drastic way. Travel moves should be made as quickly as your machine can handle them. Retraction should be aggressive and quite long. I usually use 0.5mm for PLA/ABS, for all the flex prints shown I used 1.5mm. Lastly you should watch your temps, higher temps make extruding easier, but the extrudate is runnier and oozes more. Try and print at as low temp as you can get away with. Nice colours and lots of them, I chose orange.T he reel I got had consistent diameter all over but others have not been so lucky. The stuff is the softest of the 3 filaments tested. It only comes in 3mm, so that's what I tested it in. The surface of the filament is quite high friction/clinging which might pose issues. 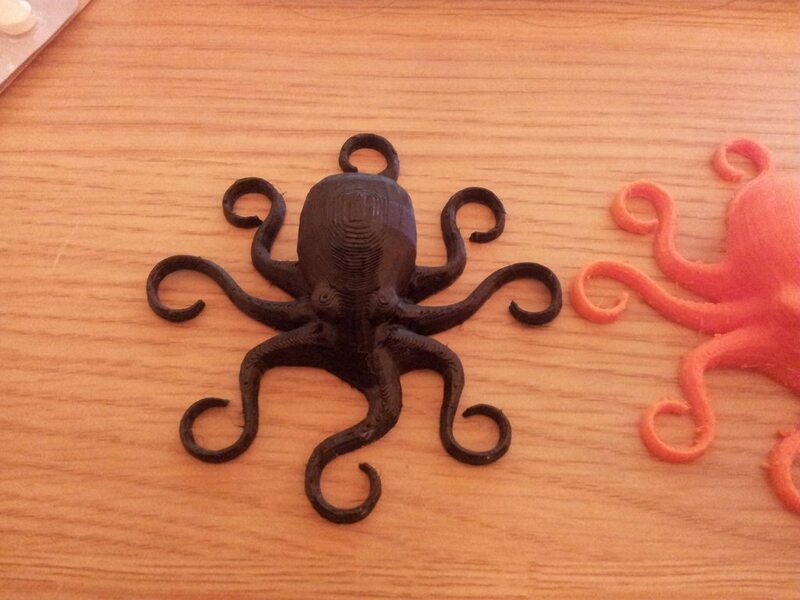 The filament is so soft that I doubt they will be able to produce a 1.75mm variant that is functional. It extrudes nicely at around 210 for me, the ooziest of the bunch, with the most stringing. General print quality was ok, but not as good as the others. I don't know what the formulation for this stuff is, but the clever money is on it being a thermoplastic urethane (TPU).You can print this stuff right onto blue tape. I used blue tape with a hint of hairspray, and the bed at 50C; it worked nicely. 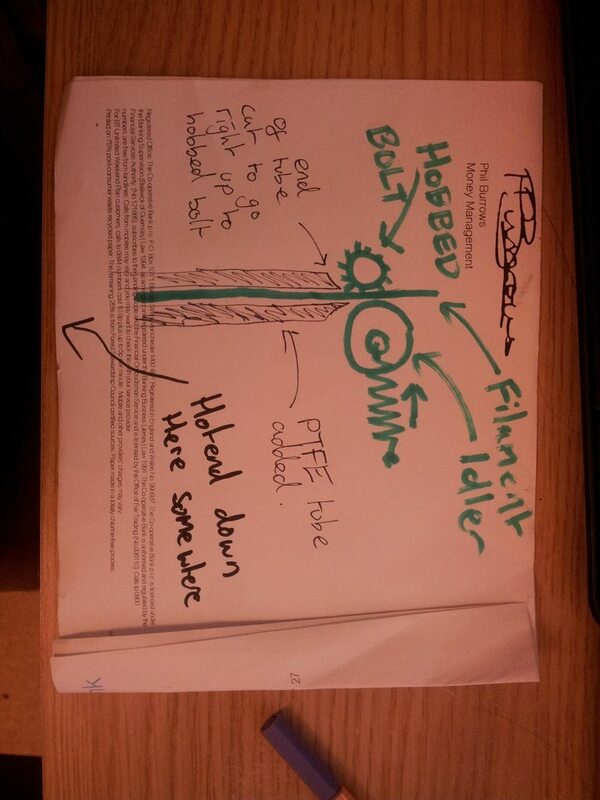 This stuff is made by a company called fenner drives who are mainly in the business of making TPU belts. However they have recently started making a flexible 3D printing material. I think it is safe to assume that this stuff is also a TPU. I purchased 1.75mm filament in blue. The experience fenner drives have in belting and motion seems to show through in their filament - they have done something to the surface that gives it a surface that has a very low tackiness, and low friction. It is matt in appearance, and almost feels like it has a powder on the surface. This low friction exterior is really a big help in reducing buckling and increasing print speed. Once printed the stuff comes out a glossy translucent colour. Much like you might expect PLA of similar colour. This stuff is "quite soft" (technical term) but more rigid than the filaflex, this makes it a little easier to feed. The material prints with some stringing and ooze, but less so than filaflex. I used 210C on the hotend with good results. You can print this stuff right onto blue tape. I used blue tape with a hint of hairspray, and the bed at 50C; it worked nicely. Comes in black or natural. Also comes in two difference levels of squishiness. I chose 40D. Despite 40D being their softer offering this stuff is a bit stiffer than either FilaFlex or NinjaFlex. This stuff prints absolutely beautifully at 200C, ZERO stringing or ooze. However it does warp, but this can be completely eliminated with a heated bed of around 90C. This stuff is definitely the easiest to print with, and gets the best looking results. It is however a bit stiffer than the others, still very much a rubber like material though. I used blue tape with a generous dosing of hairspray, and 90C bed temp, 200C hotend temp. The parts come out a really glossy black and really look very good. One observation is that this stuff is more slippery than the FilaFlex and NinjaFlex. This stuff is quite "slidey" on hard surfaces like steel and plastics, but the others are very grippy. Something to bear in mind if printing shoes or tyres or something. 0.25mm layers, 3 perimeters, 3 bottom/top solid layers, 30% infill. All prints were done with the same GCODE file, but M221 was used to adjust for filament diameter variance. Me/E3D are planning on selling a wide range of speciality filaments in the near future. This testing is part curiosity and part informing me so that I can decide what to stock and what not to stock. Potential conflict of interest if I were to be saying that filament X is better than Y when I am planning to sell filament X and can't get a hold of Y. But I promise that's not the case! Re: Flexible filament - my testing and guide on how to print FilaFlex, NinjaFlex, and Flex-Polyester. Top notch methodology, and nicely done on the disclosure. Very professional. Thanks for sharing! I am wondering if you had any experience with rather extreme diameter variability with filaflex. Both spools I have gotten off them show anywhere from 2.6 to 3.1, yes I am very careful with my calliper measurements to avoid any compression. Also showing an extremely oval profile in certain lengths. I use an e3d nozzle so anything above 3.05 generally won't fly, it's bore is quite tight. Yep, saw a bunch of variance and things like the filament being oval in cross section. I think it must be extremely difficult to extrude something of this softness with a tight control of tolerances. Your E3D hotend has an internal diameter of 3.2mm, so you should be able to push 3.1mm filament down it. However there is the chance that as your extruder applies pressure to the filament (filament in compression) that the filament will bulge outwards and increase in diameter. Maybe some canola oil would help in that situation (I have not tested this). I think it must be extremely difficult to extrude something of this softness with a tight control of tolerances. I've specified 40 durometer, Shore A, PVC tubing with +-.002 inch. It can be done if they cared about their customers, product, or if the customers complained. It's actually a small challenge to measure soft materials correctly. An agreed upon technique is required. The form, durometer, size, and fillers all can effect the extruding qualities of the filament. lots of things out of process specification can produce a crap product. Batch to batch consistence will vary tremendously if the process is not under control. Edited 1 time(s). Last edit at 11/30/2013 10:28AM by A2. Thinking about what else is produced in those kind of shore hardnesses and the precision they achieve, I agree that my comments about it being difficult to extrude filament with precision are actually unfounded. I'm interested to see what filaflex do for their 1.75mm line, and if it's actually printable. great to read this. im currently playing with a sample of ninjaflex from filaprint. so far i found like sanjay retraction is a pain. but that was with 3mm and wades on an i3. Tommrow im testing some 1.75mm on a bowden with a 3DR Delta printer im thinking being a smaller filament and direct drive might make retraction a bit quicker also the ptfe might help also. Thank you Sanjay for the great comparison! someone try with bowden extruder? I saw this thread just days ago, but i'm working on something very similar. The difference is that i am using one continuous PTFE tube from spool to hotend. In the area of the bolt and idler it is filed from both sides to the shape of the bolt and the bearing. This gives an even better guidance to the filament than Sanjays method and less resistance due to not having any pushfits in between. Another advantage is that on change the filament can very easily be fed into the tube. Really cool hints adn comments! Did you try filaflex 1.75mm now that it is on sale? 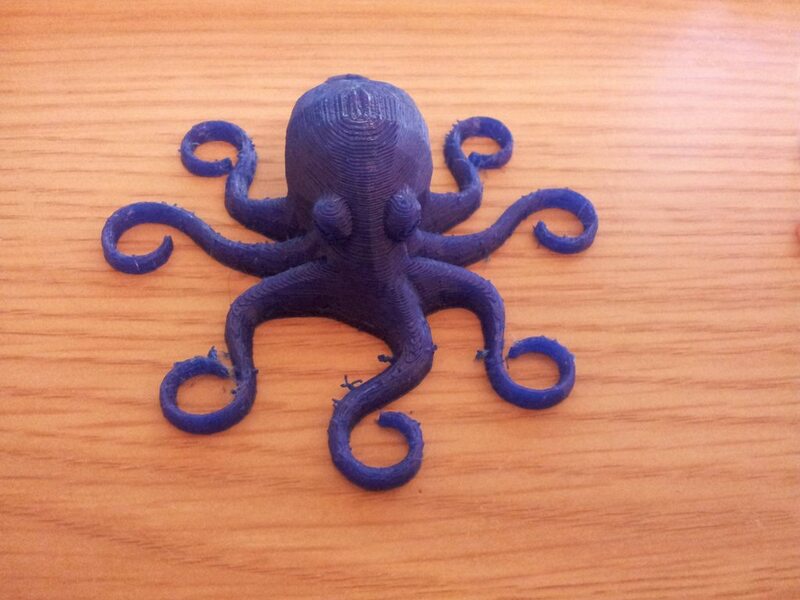 And did you try 3mm Filaflex with special hotend from Recreus? I'm printing NinjaFlex with a really nice attachment any ideas on feed rate and print speed? Hey Sanjay, great write-up. I know this is pretty old, but the technique worked a charm for me. For the tube section, I used 1/8" ID steel break line that I had laying around (and can be bought in very short sections at the local auto parts store). It works perfectly for my 3mm filament, the OD is 3/16" I think? So that is the drill bit size I used. I cut the 'V' with a dremel and used needle-nosed pliers to stick it in to just the right height so it's exactly where the hobbed bolt and 608 bearing join. A better cut would have been achieved with a dremel sanding drum I think, but the 'V' seems to work well. 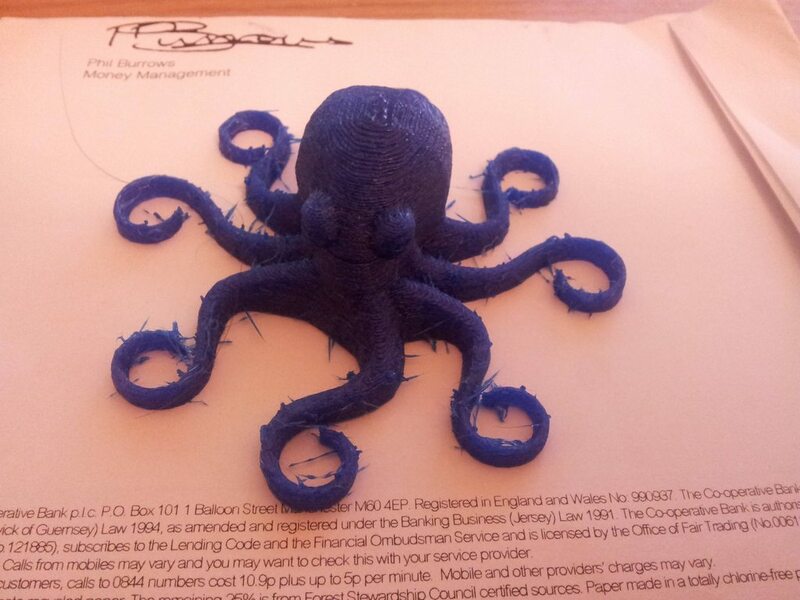 Thanks for your input everyone - I've used some of your comments as a reference for our blog on flexible filament. 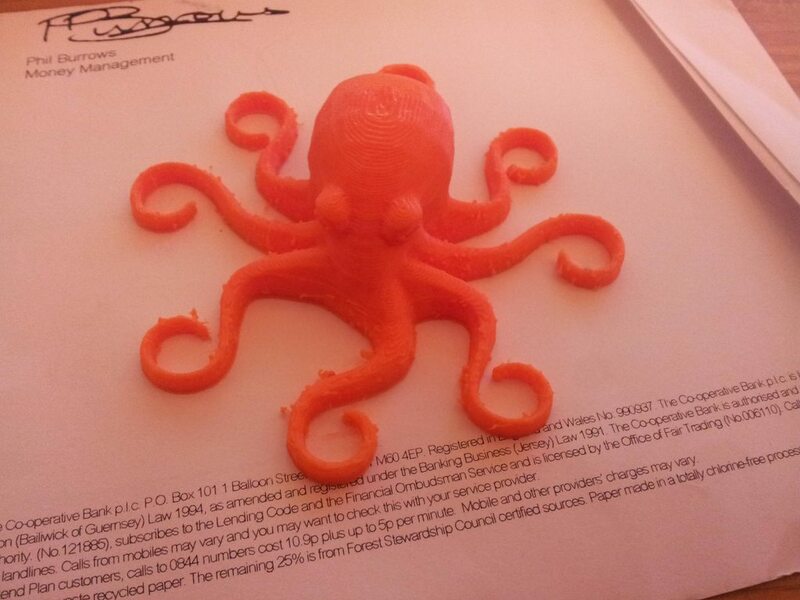 Take a look if you're interested in the top 5 tips we found on getting the best quality print with flexible filament. Please feel free to add anything that you think we've missed or comment on your experience using any of the 4 filaments we cover (NinjaFlex, Flexifil, Fila Flex, and Makerbot Flexible Filament).